I received this ARC from Random House in exchange for an honest review. This is not my first dance with Colum McCan and I now know it won’t be my last. This man has a way with words, a humble regality. Is that possible? I highlighted sentence after sentence, paragraph after paragraph in an attempt to preserve the words in my mind. I am not a writer. I read, I read unceasingly. I read at home, at work, on planes, in foreign countries and in the wilderness. Reading this work, meant for writers, made me consider putting the book down for a bit and picking up the pen that I mostly use to correct the work of others. A story begins long before its first word. It ends long after its last. This is a collection of letters on various subjects, aimed at encouraging the young writer. What constitutes a young rider? McCann himself isn’t concerned with that. He points out that beloved Frank McCourt (who surely is reading this one in heaven) was 64 when he began. To not know exactly where your story is going is a good thing. It may drive you mad for a little while, but there’s worse things than madness: try silence, for instance. I could gush on endlessly and copy, paste quote after quote. Just read it. It’s short. It’s beautiful. 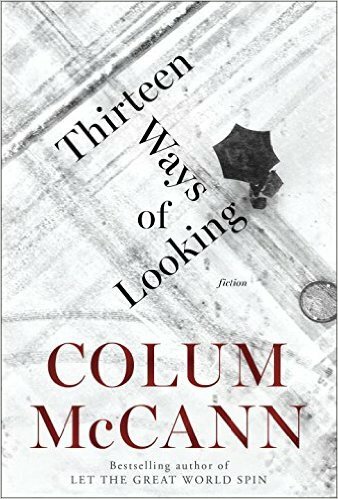 It’s the work of Colum McCann. What a great book to beckon me back to this blog. Stories matter. They send our kids to war. They open up our pockets. They break our hearts. Five of the brightest stars.